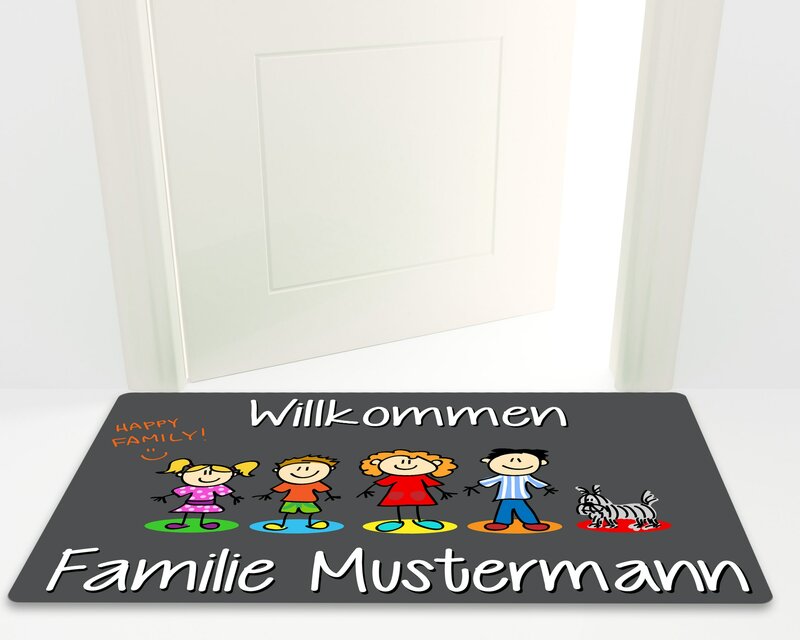 We create your personal doormat with your family name and all persons/dog from your household. 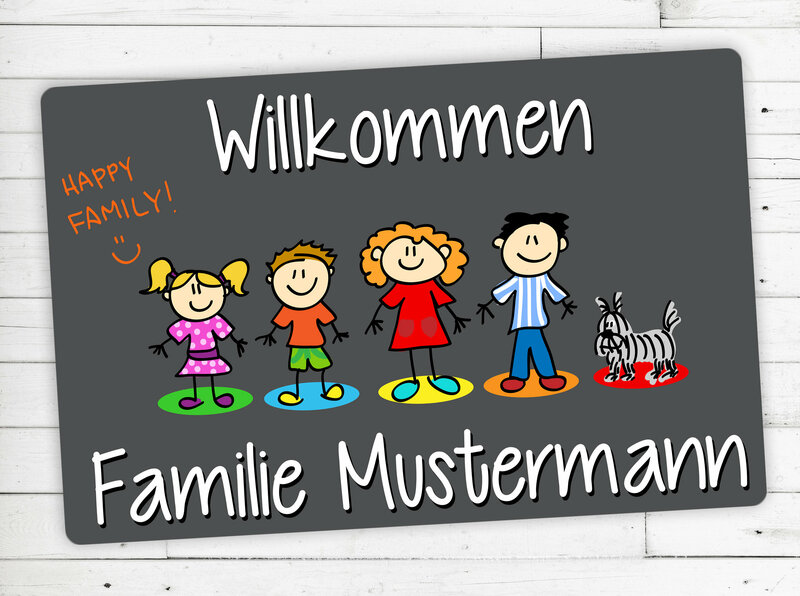 It is possible to have the heading * * "Welcome" * * or * "Welcome" * * and your * * Family name * *. Then add the * * persons * * and/or * * Dog * * of your family with or without * * names * *.